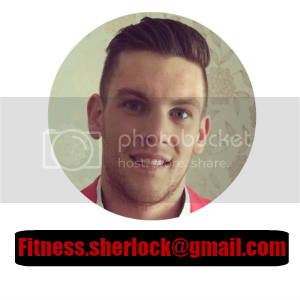 Sherlock Fitness: A few gym bag essentials! 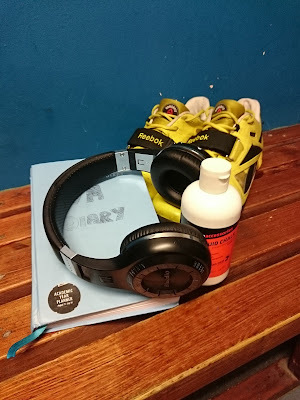 A few gym bag essentials! Number one! If you fail to prepare, prepare to fail (or at least not see the results that you had hoped for). Plan and track your workouts and you will be able to see trends and improvements! Don't just go to the gym and use whatever machine is free! I must say, I toyed with the idea of buying some solid lifting shoes for approximately 18 months. Then one day I took the plunge and I haven't looked back since! Allowing for a solid base to squat from rather than flimsy running trainers like most people wear. Im not a huge fan of using lifting straps. Not only do they make me feel weaker, but I would rather train to lift as heavy as my grip will allow. Meaning I also pay more attention to grip training as I feel having a strong grip is a true test of strength. Personally I don't own one.... yet! I am quite lucky that my gym has a box full of belts for anybody to use. Since I started incorporating the belt into my very heavy sets, I have noticed a remarkable improvement in my max squat and deadlift. Simply put, sometimes you just need that extra edge in the gym. Sometimes the music playing over the speaker system is good, other times its dreadful. Don't take that risk! I always make sure I use Bluetooth headphones too- no messing around with wires getting tangled with the bar! Obviously this list isn't extensive and there are other bits in my gym bag, but this list gives you a good starting point for those who want to give themselves an edge! Have I missed something that you feel is essential? Comment below!